Microsoft is seeing a monumental, momentum shift. Never before has Microsoft seemed so vulnerable. It is being attacked on all fronts by huge, game-changers. Is this a repeat of computing history? Microsoft changed the scene when they licensed MS-DOS and later Windows to IBM — which was the dominant force, at the time. In those days, everything had to be IBM-compatible. Microsoft’s operating system powered IBM computers — and, as we know, software can be highly profitable. Thus, Microsoft quickly eclipsed IBM and went on to rule the world with an iron fist. Is this deja vu’? Google and Apple have joined forces against the Microsoft Empire. Google has grown at a phenomenal rate and has been releasing platform after Internet platform to make Microsoft’s offerings less relevant. Meanwhile, Apple has taken over the consumer market, dominating where Sony use to be. Both companies have left their respective competitors in the dust in technology, business strategy, and execution. Google seems to not only beat Microsoft at technology, but also every business play. It’s like a giant game of chess or poker. Each one calling the other’s bluff. So far Google has trumped Microsoft at every turn. First, with the $1b AOL deal for a 5% stake, beating them to a $900m partnership with MySpace, acquiring the $1.65b YouTube sweepstakes, and winning the $3b DoubleClick bid — which forced Microsoft to pick up aQuantive for an enormous $6b sum. Google has also snapped up, game-changing companies like: Blogger, Keyhole which later became Google Earth, Where2 used in Google Maps, PeakStream, etc. before Microsoft recognized the value of these companies. This is all part of Google’s acquisition strategy. Then, when Microsoft cozied up with Facebook, in a $240m deal for a 1.6% stake, everyone thought Microsoft had finally won a hand; instead, Google released OpenSocial to eliminate the threat. Google has a competitive advantage due to their incredibly, efficient infrastructure. No one can compete with them on cost or scalability at the moment. I’d give them a 3-5 year lead on that alone. In addition, they have at least 60% of the entire search market. They dominant online advertising. Their maps platform has led to mashups everywhere. Now they are making a heavy push into the enterprise with Google Apps and Search Appliances. In effect, this is beginnings of neutralizing the reliance and need for Microsoft Office. Google has built many of their platforms on the Internet and their applications are Web browser-based. This neutralizes the need to use Microsoft Windows. Instead, users can use Apple Mac OS X, Linux, Solaris, or whatever operating system to use Google’s applications, so long as they use a modern web browser. Being aware of this fact, Google has partnered with Mozilla Firefox and Webkit [used in Apple’s Safari], providing alternatives to Microsoft Internet Explorer. Meanwhile, Google has built new offices in the Seattle, Redmond, Bellevue, and Kirkland areas and has been taking away some of Microsoft’s top executives and engineers. This ploy has worked so well that Yahoo recently starting building some offices in the area to try to win over some of Microsoft’s top talent, as well. Google treats their employees well. In fact, they downright spoil them. Meanwhile, Microsoft has been taking away some of their employee benefits. Not difficult to see why Google is winning Microsoft employees over. In addition to partnering with AOL, the Mozilla Foundation, and MySpace, Google has chosen to partner with another dominant company, Apple. In fact, the CEO of Google, Eric Schmidt has a seat as one of Apple’s board of directors. Apple has come back from the brink of death. For its part, it has risen back to relevance because of its play in digital convergence. Apple has released superior products: Mac OS X, Safari, iTunes, iPod, iPhone, iLife, iWork, and Final Cut software suites. They provide, for the most part, the most powerful user-experience available to consumers. They have partnerships with major music and movie studios. The CEO of Apple, Steve Jobs, has a seat on Disney’s board of directors, after Disney acquired his other company, Pixar. In fact, Apple’s latest incarnation of Mac OS X, called Leopard has thoroughly trumped Microsoft Windows Vista. It’s not even close. I think Apple has at least a 3 year lead over Microsoft on their operating system technology. However, as most consumers are still using Microsoft software it will take some time for platform switching. The momentum is quickly shifting, as high school and college students are beginning to switch in droves from Windows to Mac OS X. So this may make a big difference in the long-term. Apple has, possibly, the most powerful man in media, Steve Jobs, at their helm. He is a visionary who controls the technology and media markets. He has fought many wars, over the last three decades, with Microsoft’s Bill Gates and Steve Ballmer. He is an artist, by most measures, and a cunning business man. Google, meanwhile, has technology visionaries in Sergey Brin and Larry Page, who have equally powerful business acumen. Additionally, they have Eric Schmidt, who has fought many battles with Microsoft before — first at Sun Microsystems and later at Novell. He is the perfect man to exploit Microsoft’s weaknesses. He knows what works and doesn’t work. This merging of executive brilliance and brainpower is rarely seen. Apple owns the best front-end, while Google owns the best back-end. These are two of the most innovate companies in technology. Their power of influence and their ability to sway the masses with their brand is enormous. Each of their moves are speculated, analyzed, and watched by innumerable consumers, analysts, and competitors. This partnership makes sense, and is seen as highly complementary. By forming this alliance, both companies have been able to combine their strengths to become much more dominant than they could on their own. Both Apple and Google have utilized open-source software (OSS) extensively. Both companies also contribute to the open-source movement. Apple builds Mac OS X and OS X from open-source Darwin, and the Safari web browser from open-source WebKit. Some of Apple’s open-source contributions can be found here. Google uses open-source quite extensively. They use a lot of Apache and GNU tools, OpenBSD, OpenSSH, in addition to MySQL and other open-source projects. Google, as mentioned above, has a partnership with the Mozilla Foundation, in particular with their open-source Firefox web browser. Google uses the Linux operating system in their massive data centers to power all their web applications. Some of Google’s open-source contributions can be found here. Linux has become a dominant operating system for Internet and Web servers. In fact, it was IBM that made a $1b bet on Linux that really gave the operating system wings a few years back. IBM switched the entire companies server division from Microsoft Windows to Linux. Talk about the past haunting you. Microsoft has 3 main, money-making platforms: Windows, Office, and SQLServer. MySQL, the open-source database, is being used everywhere now. It is especially popular among startup companies. Since it is free, it has cut into the profit-margins of database leader Oracle as well as Microsoft SQLServer. It will continue to do so as it gains further adoption. Last I heard, Flickr, Friendster, Wikipedia, YouTube, among millions of others, were all powered by MySQL. As noted earlier, the Internet is the most important platform. The Apache Foundation really made Microsoft’s Internet ambitions less dominant back during the dot-com when their released the Apache Web Server. Even today, the majority of websites are powered by Apache. Microsoft has its competing IIs server, but Apache has kept it in check. Firefox is the window to browsing the Web. MySQL catalogs the Web. Linux is the operating system that all of these other services run on. This is open-source software, started on the Internet, and built for the Internet platform. The reliance on Microsoft is diminishing. For some time, Microsoft was able to successfully fight against and fend off everyone. In fact, their reign of supremacy has been pretty much unprecedented — well, maybe, there was IBM. In the last few years, Microsoft has denied that Linux, Google, and Apple have hurt them. 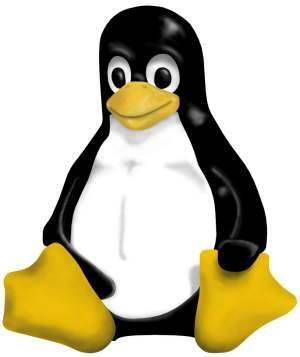 A few years back, Microsoft’s Steve Ballmer claimed that “Linux is a toy” — while it took over the Internet back-end. Then he vowed to kill Google by beating them — while Google’s lead continues to grow and Microsoft falls further behind. Google’s move into Apps is the biggest, direct threat to Microsoft. Before this move, Google has never directly challenged Microsoft, it was always an indirect challenge via an advertising business model, while Microsoft sold software. Ballmer claims that Google Apps is no threat to Microsoft Office. However, Microsoft’s own lawyers are siting Google’s successes, as they try to sue them for antitrust. “First they ignore you, then they laugh at you, then they fight you, then you win.” – Mahatma Gandhi. To be fair, IBM never died, but they sort of lost their way for a time. They have remained a successful company and in recent years there has been somewhat of a resurgence. However, there is a big difference between being number one and number two. Microsoft has been number one for two decades. But things are changing now. They know the end is coming. The writing is on the wall. Can they stop the onslaught and remain relevant, or will they become has-beens? Bill Gates steps down from being Chief Architect of Microsoft next year. Is it because he knows that Microsoft is finished and fighting it will be a losing battle, or is it because he really wants to focus more of his energy in the Bill and Melinda Foundation? Is it purely coincidence? I suspect Microsoft is going the way of IBM, left-for-dead, still profitable, but no longer the dominant and most-feared player in the game. Microsoft is not going away, but the dynasty is over. This entry was posted on November 13, 2007, 7:19 pm and is filed under Article. You can follow any responses to this entry through RSS 2.0. Both comments and pings are currently closed. It is a well-written article with reasonable prediction for these powerful players. great article Jesse! You hit the nail on the head. Blah Blah and more Blah. Looks like a personal diatribe against Microsoft! Have you seen the latest results?!? What nuts like you don’t understand is that Windows has only been successful due to ‘ease of use’. If a MAC was that easy to use, why does it still hold less than 3 % of the market?!? Unix and Linux will always remain server market winners, but with beginners and intermediate users, it’s Windows! Let’s hope for your sake that your assumptions are proved right, otherwise I would be calling you a Nostradamus wannabe. #4 – Microsoft won majority share of the operating system world when it won the contract with IBM for MS-DOS to end up on business PC computers. If you win the corporate market, users that are familiar with MS-DOS, Windows, and Office translate over to home users needing to use the same software to stay compatible. Microsoft won the OS wars due to compatibility and tying users to the platform. A good business move. However, it has nothing to due with better technology. Microsoft business strategy over the last few decades has been excellent, technology good-enough, but they have rarely been the innovator. These days, Google and Apple are the innovators. Linux is used in the server market due to cost reasons. If you have thousands of machines in a data center you don’t want to pay for operating system licenses. I appreciate your comments and insights. I think having a good debate or differing views are good to help readers see different sides of the picture. I think the article is clearly written and without any derogatory tone towards Microsoft. The market that MS dominated is changing. Heck, MS dominated in the first place when the old mainframe paradigm changed to desktops. Now the desktops are shifting to internet based apps/services. Desktops aren’t going to disappear completely (who doesn’t run into some form of mainframe today?) but HOW business is conducted is going to change. MS is clearly aware of this but just can’t beat these “new” players to the punch. It’s not to say they might not figure it out or have enough inertia pull through, but the game’s changed. Very good article, Jesse – with the drift away from Microsoft products continuing, the influence of that corporation wanes by the day. It seems that Microsoft has no answer to the Open Source revolution, and that their monopoly has taken them almost as far as it can. I do notice that you use “repeat” (verb), rather than the correct term “repetition” (noun); but this seems to be a very common error in the U.S. Thanks for your comments Hugh. Now that we’re seeing the U.S. economy suffer, more businesses will look to become more lean and efficient and slowly drifting away from a Microsoft-only model. 1. “Cutting Costs” by moving business solutions to open-source, especially within data centers. 2. “Increasing Productivity” by using “it just works” Apple hardware and software. 3. “Consolidation” by sharing physical resources through virtualization.